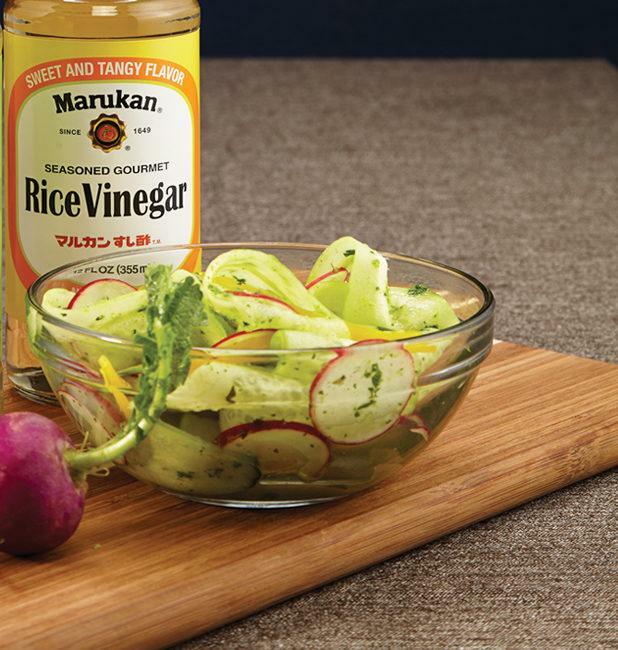 In a large bowl toss the radish and cucumber slices with salt. Toss with vinegar, lime juice and olive oil. Let stand at room temperature for 1 hour. Just before serving, fold radish tops into salad.